Frederator Studios Blogs | Fred Seibert's Blog | A new postcard series: Record labels of mid-century America. A new postcard series: Record labels of mid-century America. It’s probably my age, but I’ve always loved record labels (”records” are old school sound recording platforms, and by “labels” I mean the printed paper in the middle that identified the recording company, the artist, and the song), as anyone who follows our postcard output knows. Occasionally , it’s the graphic designs, sometimes it’s the artists involved, but often, I just like the stories behind the record companies. 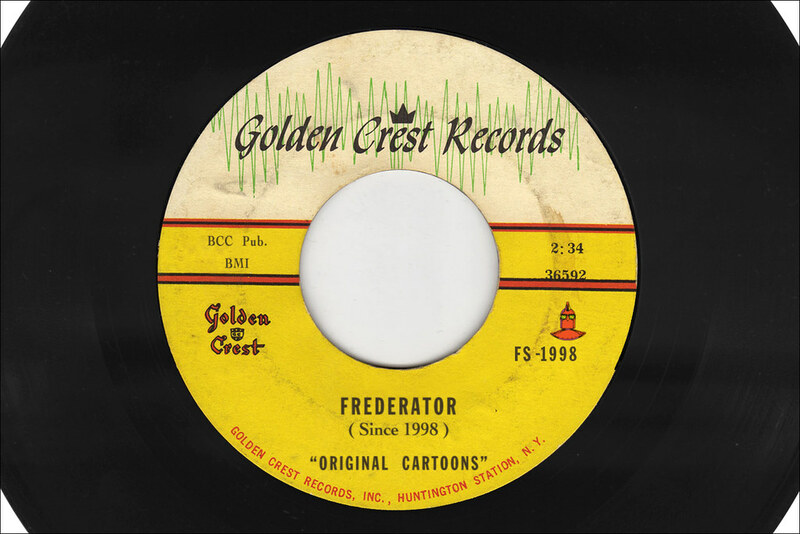 To subject you to more of my personal whimsy, Series 10 of Frederator postcards is dedicated exclusively to mid-20th century American independent labels’ 45s and 78s (that’s the speed that the vinyl records rotated at. Yes, seriously). The first one in the series is a record company from my hometown that no one’s ever heard of. “No one” is a bit of an exaggeration, but, I thought I knew every indie label from the vinyl era, but I didn’t know Golden Crest Records, from Huntington Station, Long Island, in my own home town. And clearly, “no one” didn’t include one of the Western world’s coolest reissue labels, Ace Records, because they saw fit to release a 2-CD set of “The Best of Golden Crest.” That might have been influenced by the fact that John Broven, the Ace A&R executive, eventually married the daughter of Golden Crest’s founder, Clark Galehouse. It just goes to show you that I’m not as cool as I’d like to think. Two partners and I started our own indie label out of Huntington in 1971, and if only we’d known there was a pressing plant right up the street, we would’ve been thrilled to manufacture there, and probably learn a little more about the business more quickly. It was fitting to me that this series is inaugurated by Golden Crest. Thanks Clark.